We all have special gifts to share. In The Rainbow Fish, we hear about how a special fish learned how to use his gifts for others. As God's children - parents, grandparents, and young people - we are all special. All of us are created by God in love. As followers of Jesus, we are called to use our gifts in loving service to one another, especially those in need. (1) Life Connections; an opportunity to reflect - as adults - on how the story of the Rainbow Fish relates to your life. 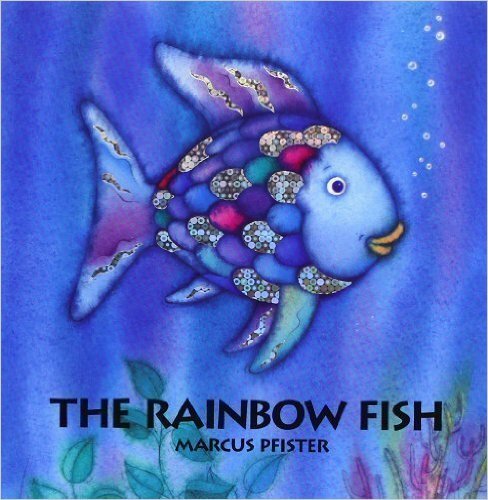 (2) Catholic Connections for Adult Disciples: The Rainbow Fish is a good way to remember how our tradition talks about using our gifts to benefit not just ourselves, but others. This is often referred to as Catholic Social Teaching. (3) Family Practices: Ideas for forming our children in this way of giving and serving. What do you like about this story? What insights do you glean from the story? Is there anything you don't like about this story? Anything that challenges you? How? As you consider your own gifts (gifts of the Holy Spirit), what are gifts are using? What gifts are you not using or "giving away"? Consider the principles of Catholic Social Teaching and/or the work of Catholic Relief Services and Catholic Charities. What needs do you see in the world/your local community that could use your gifts? How to do Caring Conversation @ Home from Leif Kehrwald on Vimeo. What gifts do you see emerging in your children and family? What insights do your children have about the story or their own gifts? What kind of service do you see your family doing this year? In 5 years? In 10 years?